From which components does a URL consist? This URL format is not only used for the World Wide Web. For example, it is also used to communicate or configure the required data for access to a database. Since everyone uses URLs almost daily, I do not need to describe the different parts of the URL further. I assume that if you want to use the full URL in your PHP code, you do not want to include the credentials (username and password) to prevent them from being used in an undesired way. Also, the fragment will never be passed through the CGI interface so you can not use it either. 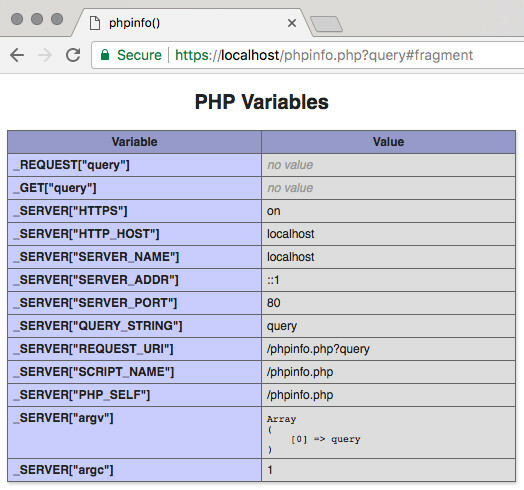 Which data are available to you in PHP? As a bonus, I give you English manual page for the get_current_url() function. If you have any improvement or suggestion to share, please leave a message below.